Catacombs and Castles is a standalone game featuring a "Catacomb" team of heroes vs a "Castle" team of heroes. 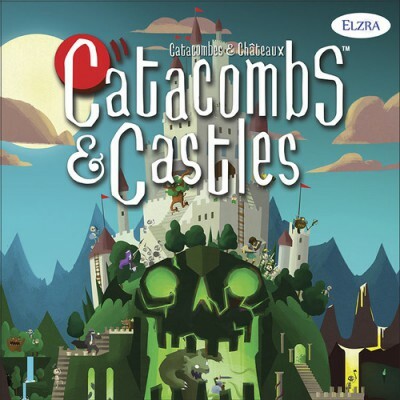 The game serves as an introduction to the Catacombs world and dexterity game system, so it features simplified, fast game play with some new mechanisms. As in Catacombs, players flick pieces around a board to simulate combat, with cards and special powers dictating how you can move and attack. Catacombs and Castles supports up to eight players competitively (in "Team Mode") and up to four co-operatively (players teamed against an 'Overseer' player called "Boss Mode"). The game is compatible with the third edition of Catacombs, serving as an expansion for that title with a new board, and will be compatible with the Catacombs: Wyverns of Wylemuir expansion.